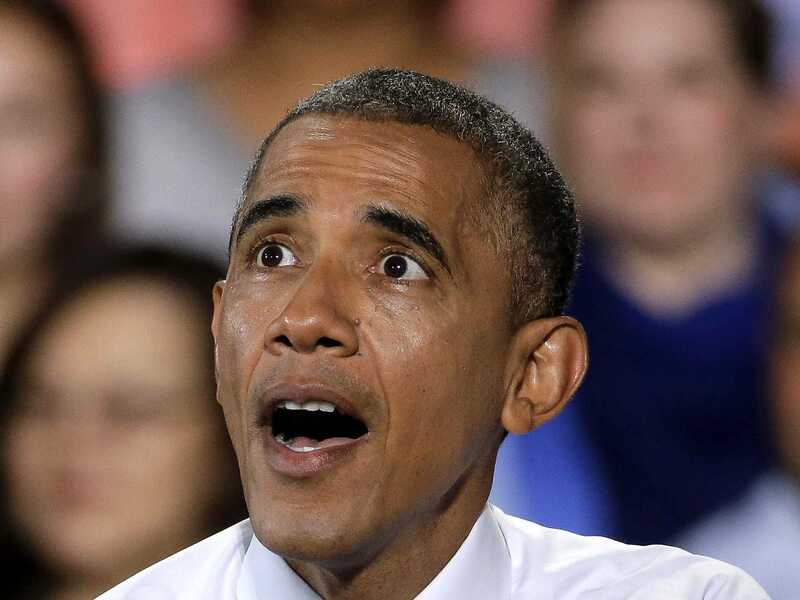 Tuesday night’s landslide Republican victories in the midterm elections are being hailed by the GOP as a referendum on President Barack Obama. And the results could end up putting a dent in his signature legislative achievement. Republicans who now control the Senate plan to chip away at the Affordable Care Act, and they believe they have a chance to push public opinion even further against the law with stepped-up public oversight. And at the state level, the law’s supporters suffered setbacks to their hopes of Medicaid expansion in more states. When all is said and done, Republicans will likely have a 54-46 majority in the Senate next year — which, going into Tuesday night, was one of the best-case scenarios for the party. The party will likely pick up at least two governor’s seats, including flipping Democratic strongholds in Maryland, Massachusetts, and Illinois. It could mean a weakened Obamacare at the federal level and a stalled push to expand Medicaid in states that have so far resisted. 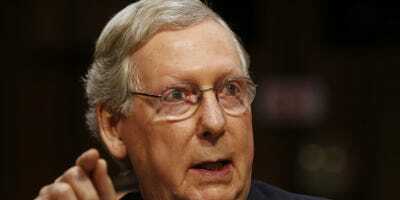 REUTERS/Larry DowningHow will Mitch McConnell deal with Obamacare? The Republican Holy Grail — a bill that repeals the Affordable Care Act — will see its best chance for passage next year, but it would face a certain presidential veto. But while there will likely be a full vote in the Senate to repeal the entire healthcare law, according to senior Republican aides who spoke to Business Insider, the overall GOP strategy will likely be to chip away at parts of the law in bills that could make it to the president’s desk. Some areas they could target include the law’s tax on medical devices and the Independent Payment Advisory Board — which some Republicans have infamously labelled a “death panel,” but whose launch has been delayed amid slowing healthcare cost growth. Other possible actions include tweaks to the so-called employer mandate of the law, which has been delayed twice, as well as the individual mandate that requires most Americans to purchase health insurance. One item Republican House and Senate aides think is likely to make it to Obama’s desk — and potentially get his signature — is a bill to repeal Obamacare’s tax on medical devices. A similar amendment, championed by Sen. Orrin Hatch (R-Utah), who is in line to become the next chair of the Senate Finance Committee, passed by a 79-20 vote in 2013. “I think the med-device tax and some other little areas would be the best place to start, because that is the ‘possible,'” a senior GOP aide on the Senate Finance Committee told Business Insider of Republicans’ pursuit of Obamacare-related legislation in the next session of Congress. Republicans could also take aim at so-called risk corridors in the health law, a potential battle that some Republican senators have already begun discussing as part of a potential funding fight that leads down the road to a federal government shutdown. The “risk corridors” in question aim to make it easier for insurance companies to transition to the new healthcare system, largely by making it less financially risky for them to sell new insurance plans on the government exchanges established by the Affordable Care Act. But Republicans have charged the program amounts to a “bailout” for insurance companies, and a bill targeting the provision is something they think could attract Democratic votes to get past a 60-vote filibuster firewall. “Why not just do it separately?” one Republican aide said when asked about the possibility of tying funding for the risk-corridor program to the continuing resolution, which keeps the government funded and needs to be passed by Dec. 11 to prevent a shutdown. If Republicans tackled the issue of risk corridors in a separate bill, senior aides said, it would simplify messaging and make some Democrats more likely to jump on board. The potential political boon is palpable. “Being in the minority, we don’t have the ability to call a hearing and to get the witnesses that we’d want,” the GOP Finance Committee aide said of Republicans’ status in the current Congress. “I think oversight of Obamacare would be something you’d see a lot more of” in the next one. APWisconsin Gov. 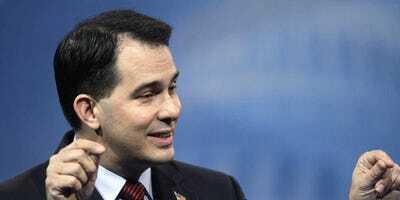 Scott Walker is one of a few vulnerable Republican governors who held on. Meanwhile, on the gubernatorial side, Levitt said the most likely chance for movement on Medicaid expansion would be in Alaska, where independent candidate Bill Walker is leading Republican incumbent Sean Parnell. There is also the potential for “backsliding” in states like Arkansas — where Republican Asa Hutchinson won a seat currently governed by a Democrat. Arkansas features a “private option” as an alternative to Medicaid expansion, but it has always only been narrowly popular. Democrats also hoped strong candidates in the Florida, Georgia, Kansas, Maine, and Wisconsin gubernatorial races would win and work toward expanding Medicaid. But all five of those candidates lost. “It’s hard to imagine those Republican governors opposed to the expansion getting religion based on these results,” Levitt said. Levitt, however, said the intensified battles to come on the law are normal for major healthcare legislation. And he doesn’t expect any changes to become law that get to the heart of the Affordable Care Act. “For the foreseeable future, the law remains intact. We’re now maybe entering a stage where — in some ways, it’s surprising it’s taken this long where Republicans try to move the law in a more conservative direction,” Levitt said.